Incredibly sad news today. One of the biggest poets ever in French music has left us. Daniel Darc started his career in the late 70’s, and has put out a lot of great music since then. I toured with him in 2007, and also saw him a lot last year opening up for him with Rachida Brakni. A sweet, sensitive human being and a great artist. His memory will live on for a long time. Check out this video with Danish blues artist Mike Andersen, featuring my childhood buddies from Aarhus, Denmark: Jens Kristian Dam, Johs Nørrelykke, Kristian Kold and one of my all time favorite piano players, who more than anyone made me want to learn the piano: Kristian Fogh Mathiasen. This guy is such an incredible musician, a feeling and a groove beyond belief, he ought to receive worldwide recognition. 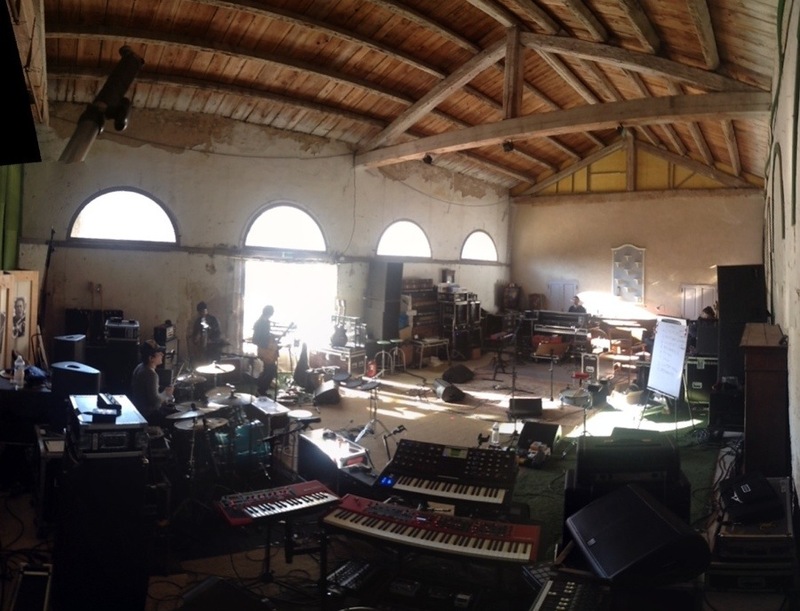 Here we are in the south of France, in this room for a month preparing Damien Saez’s “Miami” tour. It’s a big team, with a lot of diverse talent, and I think it’s a privilege to be a part of it. A month is a long time, even if we have a lot of work ahead of us, and I’m confident that we’ll put together a great show. It will be very eclectic with a lot of surprises for Damien’s fans. Well, just discovering the songs from Damien’s upcoming album will be a surprise, since the release date after multiple postponements has been set to the day before the first show. But even still, the show will encompass a lot of the different styles of Damien’s repertoire, including some new ones, and we have enough talent in the band to do something cool in each style… To be continued! Definitely one of the most interesting artists to come out of Paris in a long time. Highly esthetic and arty, but still with a lot of emotional depth. Originally a music video director, he didn’t hold back when making his own videos, which are nothing short of sensational. His debut album is out soon, looking forward to discovering it.